Rafael Benjumea Burín was in charge of El Chorro Dam project, also known as the Conde de Guadalhorce Dam. If you are familiar with the dam, you will perfectly understand why its fellows called upon Benjumea, ‘the poet engineer‘. His works are described as brilliant because he combined engineering functionality with and environmental awareness, blending the usefulness of the work with the beauty of the place. 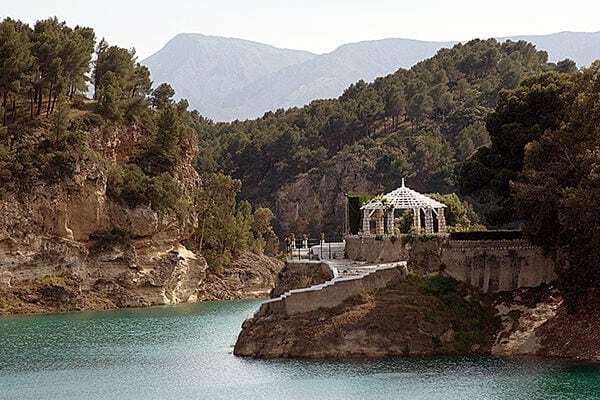 Praises on the beauty of the dam came to King Alfonso XIII ears, who made an official visit to the place on May 21, 1921. The king was so impressed for what he had seen that in September that year he awarded Rafael Benjumea with the title of Count of Guadalhorce, ‘for him, his children, and legitimate successors’. At the beginning of the Twentieth Century, Malaga’s power was supplied by two foreign companies that generated electricity using steam engines. Two of Malaga’s main industrial bourgeois families, the Loring and the Heredia, who were related, were the developers of a business plan that resulted in the construction of El Chorro Dam, called Conde de Guadalhorce Dam since 1953. 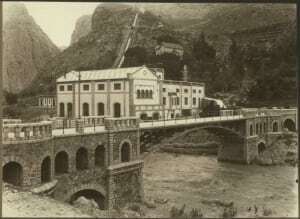 It was the first Count of Guadalhorce, the engineer Rafael Benjumea Burín, who understood that the province’s industrial development laid upon the construction of a power plant capable of supplying enough electricity. Rafael Benjumea was married to Isabel Heredia Loring, whose cousin Jorge Loring Heredia had won in 1901 the concession to harness hydric resources from the Guadalhorce river. In 1903, Jorge Loring, Rafael Benjumea and Francisco Silvela (also married to a member of the Loring Heredia family), founded El Chorro Power Plant, with two million pesetas in capital, to supply energy without having to depend on any foreign capital. The initial idea was to take advantage of the Salto del Chorro, a one hundred meter drop in the Guadalhorce river. They installed three 3,000HP power generators. El Chorro power plant was finished two years later, in the Summer of 1905. All the electricity generated was already pre-sold. Despite the promising project the company was set up for, its beginnings were filled with difficulties. On one hand, to make sure it could supply continuous energy to its clients, the installations had to be extended and have a large reservoir, and the company was not economically strong. On the other hand, an unfortunate turn of events placed the company in a critical position: Francisco Silvela and Jorge Loring, two of the company’s founders, passed away in 1905, losing the trust of creditors and bondholders. In 1907, heavy rains overflowed the river, flooding the power plant. Short after repairing the damages caused by the floods, a fired totaled the plant. To make up for these economical losses, Rafael Benjumea had to sell most of his personal assets, while his wife’s family increased his contribution to the company, including the selling of one of their most precious properties: the Finca de la Concepción. 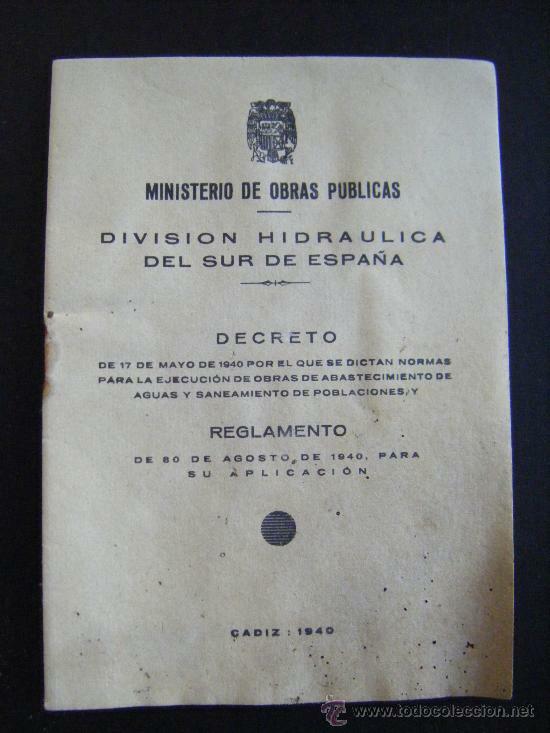 The heavy floods Malaga suffered from in 1907 resulted in the creation of the South Spain Hydraulics Division, with the purpose of preventing catastrophes and see to the use of water for irrigation. Rafael Benjumea had an idea to build a dam in the Turon River that would accumulate enough water to irrigate all of the Guadalhorce valley and guarantee electric power supply. Benjumea, thanks to the Law of Assistance for Hydraulic Works dated 1911, was able to obtain public funds for up to a 50% of the required capital for the project. In order to obtain this funding, the irrigators had to be the ones to apply and they had to contribute with 10% of the total cost. Benjumea showed great ability of persuasion and organization since he was able to perform the tedious task of contacting farmers and take care of the necessary bureaucratic paperwork so that in 1914, the Government and the Guadalhorce Agricultural Union signed the contract for the construction of El Chorro Dam. A Works Committee, part of the Ministry of Development, was in charge of managing the money given by the Government and irrigators. Rafael Benjumea was the engineer who developed the project and managed the works that started in 1914. 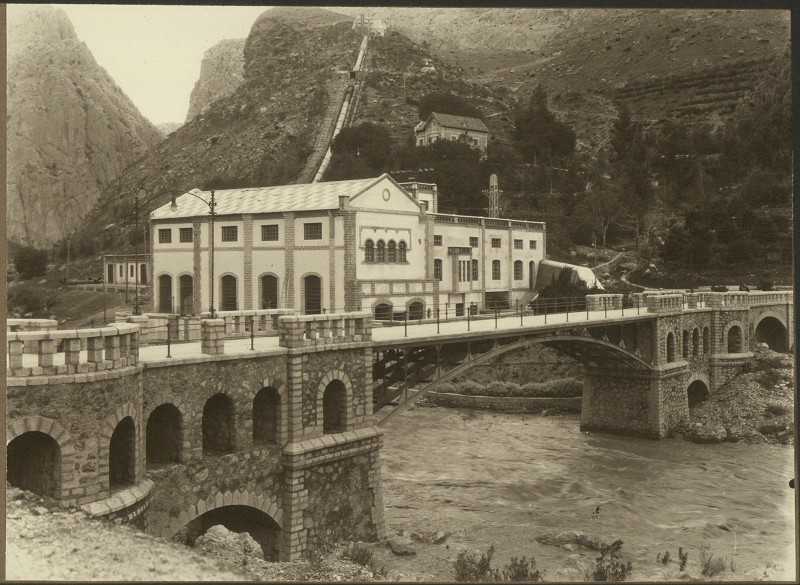 At first, the dam was to be built in the Tajo de los Gaitanes (Gaitanes River), but it was discouraged by geological studies. The final location was carefully studied. It was necessary to implement a limestone quarry for the construction of El Chorro Dam. It was located near the confluence of the Turón and Guadalhorce rivers. A pathway to the quarry and a railroad stretch was built to transport materials across the Guadalhorce River. A concrete factory had to be improvised about five kilometers from the dam. It used stones extracted from Sierra Huma. An electrical line had to be installed from El Chorro Power Plant to the construction site to power the machinery. Sand was extracted from Turón River and transported using donkeys until the water levels in the dam allowed for the use of boats. 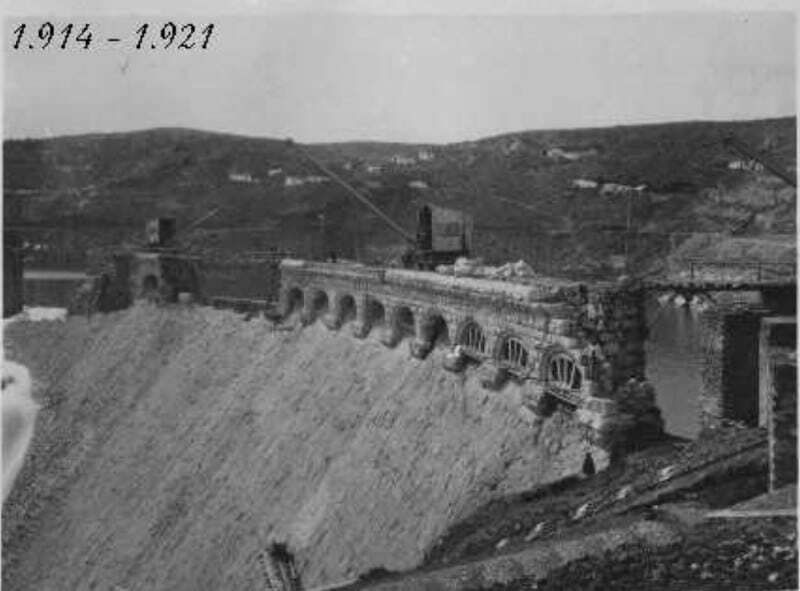 El Chorro Dam, once finished, was 9.5 kilometers (5.9 mi) long, and 3.5 kilometers (2.2 mi) wide at some points. 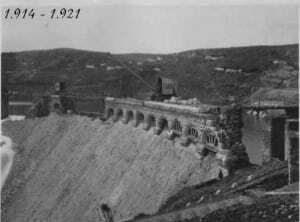 The water reservoirs extended over 465 hectares, and the dam or floodgate intercepting the Turón River was 72 meters (236 ft) long from the ground up, and 50 meters (164 ft) from the riverbed up. The water reservoir covered the irrigation of lowlands from 180-0 MASL, that accounted for 28,000 hectares of land, out of which 13,000 had to be irrigated. Gaitanes place, or Malaga’s valley great portico where these waters were retained, made the low valley of the Guadalhorce River. Come and see first hand the railroad and hydric infrastructure that revolutionized Malaga and its surroundings' communications and industries.